Most people in my life know that I am a vegetarian. They know that I eat salads, that I love carbs, and even more than carbs, I love sweets. It takes absolute will power for me to turn down dessert. However, what many don't realize about me is that fact that I have been a vegetarian for over 13 years and I am 22 now. 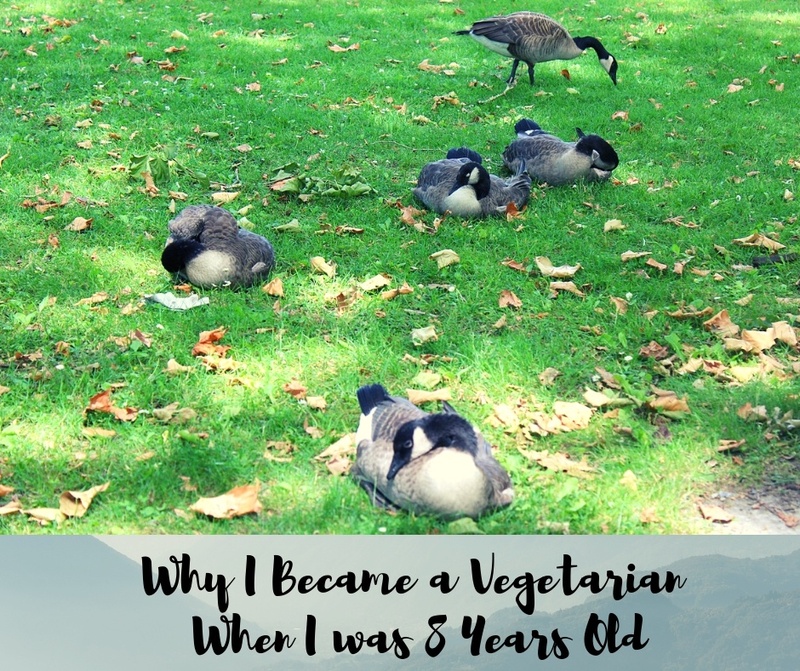 This means that I made the decision to become vegetarian when I was only 8 years old. It all started for me in first grade. 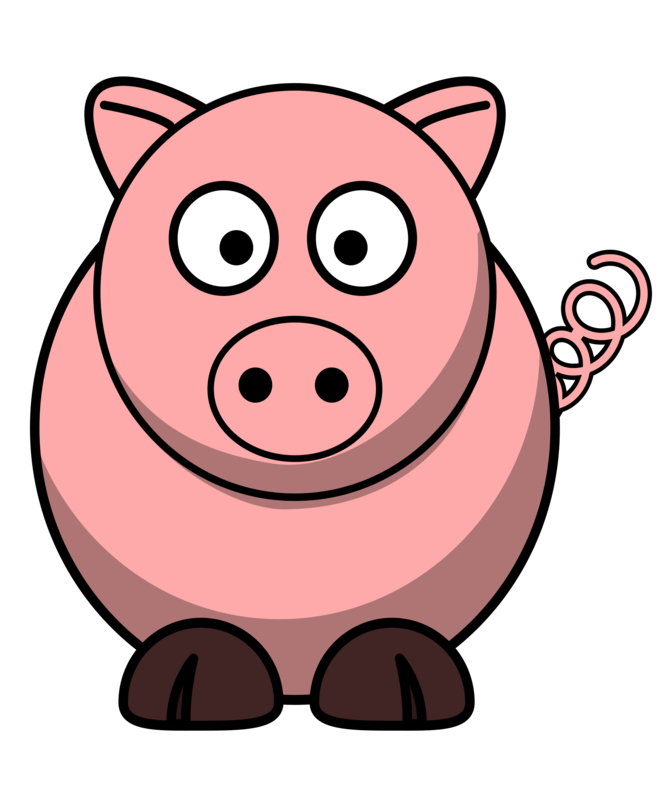 My teacher at the time was reading Charlotte's Web to us one day and the story got my little brain thinking.. "Why would anyone want to eat this adorable pig?" "How can anyone harm him" and "Is this story even true?" In my head, I wanted to believe that this fictional story was just that.. fictional. However there was something in me that knew that this real, that people do kill animals to eat and that to them, animals were seen as just food. Following this book, my brain started making connections to past events in my life that include, holding a chicken on a chicken farm, petting a pig on the farm, and raising my own goldfish. These events may seem small, but they really did show me that animals had feelings and that they were loving and intelligent. Animals were our friends and we don't purposely harm or kill our friends. I thought quite a bit about this after the story and my mind shifted to eating less animals in my diet. There was one incident though that was the game changer and when I officially eliminated meat from my diet. One night, I had seen my parents cooking dinner. They were preparing red meat and lobster. I remember the terror in my eyes when I saw the cute lobsters I had just been watching getting placed into a pot of boiling water and being cooked alive. I watched as their movements slowed and they went from living creatures to food. I didn't say anything, but I was horrified. Even more, my parents were cutting up the red meat and it was just a bloody mess. I knew instantly that it was blood and that it came from an animal. In my little mind, I couldn't handle it. I loved animals and now they were in front of me, dead and as food. It just did not seem right in my mind that a loving animal could be so brutally turned into food. I swore off meat forever that day. Growing up, I lived in what I would call a traditional Asian American household. My parents immigrated here from China and with that, they brought much of there culture here (which I really appreciate now!!). In the Chinese culture though, as in many other cultures, meat was just a regular part of a meal. Meat was also seen as a luxury food item for my parents as they had grown up poor and just could not afford meat. Now, we were able to and my parents wanted the best for me which meant feeding me as much "luxury" foods as they could afford. They wanted the best for me and I am very thankful to have such caring parents. With that being said, you can imagine how my parents reacted when I told them I was going to stop eating meat (because at that time, I didn't even know about the word vegetarian). They were confused and they thought I was joking. They would always place meat in front of me, telling me to eat it. I would refuse. At first, they weren't too upset, but it eventually got to a point where there was strong tensions between us during meal time. I know that everything they did was out of love now, but back then, we would often get quite angry at one another over the topic of meat, leading to fights during mealtime. Who knew a little kid could be this passionate? I recall one dinner in which I broke down in tears and stormed away from the dinner table over an argument about eating fish. My parents told me I would never be able to watch TV again if I didn't eat the fish. I was pissed over this conversation because I knew that they still didn't understand me and now they were using other ways to persuade me. Eventually my parents accepted the fact that I was serious and they began to let me have my way. It definitely took a while for them to come to terms with this. I don't recall any incident that was the turning point. I believe time and persistence my end was what won them over. We started adapting our meals so that I could get the nutrients I needed while sticking to my no meat meals. We brought vegetarian protein such as various tofu's and beans to add to our dishes. My parents also began taking out my portion of the dish before adding me. This allowed me to eat what they were eating without making cooking more difficult. Overall, my parents have been supportive of my decision to go vegetarian after accepting the fact. There are times they make comments such as "You would be stronger and faster if you ate meat," or "Your skin is bad because you don't eat meat," but I don't let that bother me. I know they are coming from the right place, but in the end, I know myself the best. I now accept the fact that they probably won't even be able to understand my choices, but I am just thankful they accept me and are willing to try and adapt. As an adult now, I am so glad that I stuck it out and stood up for what I believed was right. I have not had meat since then (on purpose, but slip ups have unfortunately happened on accident). I have no regrets and am proud to call myself a vegetarian. 1) My first and most important tip is to talk to your child and find out why they want to go vegetarian. (Note this conversation should be one where you listen to them and not try to persuade them otherwise). This is so important in my opinion. You want to understand their motivation behind their reasoning and ways that you can best support them. If you show that you care and respect their decision, they are more likely to work with you to ensure that they have a healthy diet. Being dismissive will cause your child not to listen to you and even worse, forcing your child to eat meat can cause your child to not trust you or have an unhealthy relationship with food. 2) Don't just take meat off the plate. Instead, replace meat with foods such as beans or soy based products. Nothing is sadder than eating just rice and veggies or plain pasta (from personal experience, I know it's not fun). Now, you can find many "fake" meats on the market that can mimic real meat and add flavor to a dish. Also, make sure your child's diet is varied. Since children are still growing, they need to eat all types of food so make sure your child's diet is filled with fruits, veggies, grains, healthy fats, and plant based protein. 3)Iron is the most common nutrient deficiency in vegetarians and vegans. While plants may contain iron (hello spinach! ), it is harder for the body to absorb iron from plants than from animal sources. Ways to increase absorption is to pair iron rich foods with Vitamin C rich foods, such as oranges, or foods rich in fat, such as olive oil (aka... olive oil in a salad helps with iron absorption). 4) Other nutrients that should be monitored are, Vitamin B-12, Protein, Vitamin D, and Calcium. Vitamin B-12 is only found naturally in animal products, therefore it is important to make sure you find foods that are fortified foods such as fortified cereals. Protein is known to be found in meat, but thankfully, it is so easy nowadays to find non animal based protein sources. The key here is to make sure you provide your child with a variety of plant proteins to make sure that they receive all the 20 amino acids of protein. Calcium and Vitamin D are also 2 that are a bit harder to find in a vegetarian diet, especially if your child cuts out dairy. Thankfully, it is easy nowadays to get these nutrients through non dairy milk or yogurt, the sun, and even broccoli. Most people don't know, but broccoli has a lot of calcium! If getting any of these nutrients prove to be too hard at time, supplements can help fill in the gaps. It's not my favorite way of getting the nutrients and not good for long term, but it does help at times when you are lacking. 4) Make some main meals vegetarian based. I think this tip is so important as well. Consider making a main dish once a week that is vegetarian. This will be beneficial to all. Your family can try a new dish and your child will feel included at meal time and cared for. It shows them that you are on their side and you respect their decision. On other days, cooking healthy, and yummy vegetarian for your child doesn't have to be hard. You can cook the same dish and just cook the meat separately. You can then take out a portion of your dish for your child or separate the food before adding in the different types of protein. 5) Nutrient wise, it is very possible for a child to become a vegetarian and to be healthy. 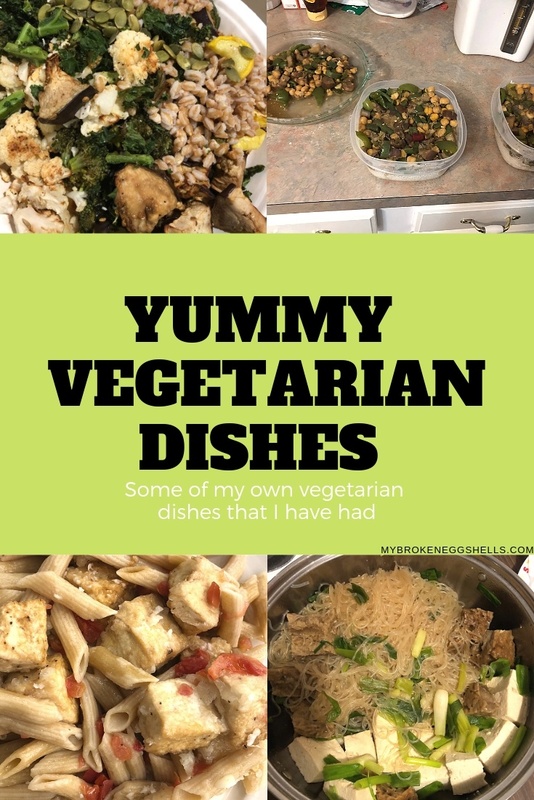 (I am living proof :) The key here is to be supportive and educated on what a healthy vegetarian diet looks like and to work with your child to make meals that they like and are nutrient rich. It takes a little bit of time to get used to, but if you make an effort, it won't be too hard and your child will appreciate you for it! Thanks for sharing this info. My grandpa went vegan a few years ago and love it. I don't think I could give up meat. Thank you for reading! Wow, that's awesome that he went vegan and I am glad he is enjoying it! I would love to go vegan one day as well, but the sweets (milk, egg, butter) is hard for me to give up. If you take it a little at a time, (one food item or one meal), I find that to be easier than going cold turkey!